Kaysersberg Plastics uses some of Europe’s most advanced equipment, methods and extrusion technology to convert polypropylene into plastic sheet in the form of Akylux polypropylene twinwall sheet. Akylux is widely used as plastic packaging, including in the pharmaceutical, automotive, electronic and retail distribution industries. Because it is tough, lightweight and fibre-free, the extruded polypropylene sheet is often used as protective returnable transit packaging (or RTP) for many pharmaceuticals. Akylux twinwall plastic sheet can easily be manipulated and shaped into, for example, plastic packaging. But Kaysersberg Plastics can also offer custom-made returnable transit packaging in durable, lightweight, twinwall plastic sheet, resulting in real cost savings and less plastic packaging waste. Many customers remark on great reductions in material costs when they compare lifetime costs for returnable transit packaging with traditional, disposable materials. For example, the Akybox used by wine and spirit retail distributors can often achieve 100 trips over their two-year lifetime. Akylux is a tough, fibre-free plastic packaging, and so is ideal for a large range of packaging uses, whether in its Akybox form or not. It can be manipulated into dust-free, anti-static packs for clean areas, MTM (made-to-measure) packing for difficult-to-pack or sensitive products or water-resistant storage and returnable transit packaging. 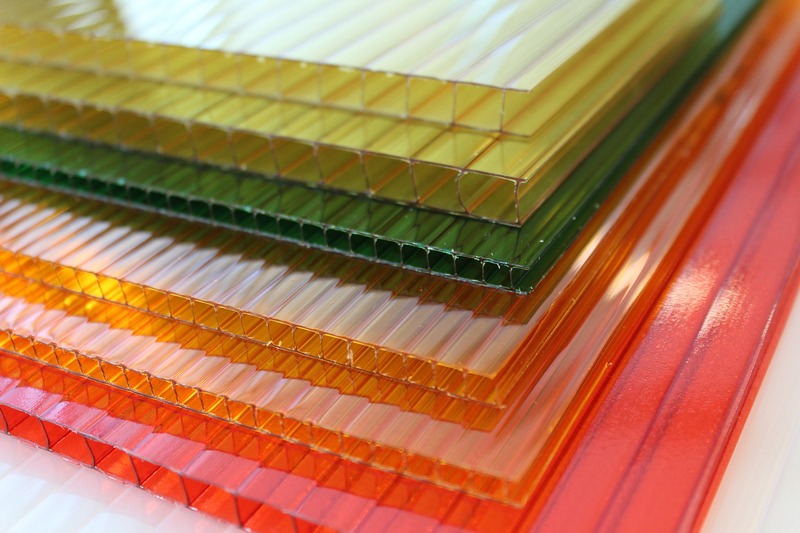 Akylux plastic packaging protects against humidity, grease and chemicals, and is frequently used for packing metal sheets, wires and components. In the retail industry, the transportation of a product from storage in a warehouse to display at point of sale is often accomplished in returnable transit packaging. These ‘knockdown’ RTP cases are easily assembled and disassembled, making them ideal for multi-trip use as reusable packaging. MTM trays, knockdown cases, and collapsible trays and dividers are increasingly being used for inter-plant movement and in-house component handling or storage. Akylux can easily replace board, PVC or polystyrene currently used for returnable transit packaging, dividers, point of purchase displays and screen-printing. Flexographic printing techniques can also be used with Akylux sheet, and further applications include product display holders, display cards, signs, indicators, information boards and advertising panels. Akylux twinwall sheet forms a highly protective barrier against liquids and oils. It is fibre-free, and so doesn’t release dust, can be recycled and, because of its honeycomb structure, absorbs shock. In an ecological context, where the disposal of transit materials poses ever-increasing problems, Kaysersberg Plastics designs and produces RTP and reusable packaging, combining economic constraint and high quality. Akylux products can easily be recycled or incinerated, without any harmful or toxic emissions. Akylux polypropylene sheet represents an ideal material for the creation of a whole range of containers and attachments, especially Akybox products, MTM boxes and dividers.